Luxury faux fur collection from BellaRoo. Capes, dresses, gilets, shorts and other faux fur accessories. A high end fashion item, perfect for the little girl that has everything! Beige Luxury faux fur pram bumper bar cover. The perfect way to dress your pram or stroller to stand out from the crowd. Made to match our pram trims, Pom Pom hats and BellaRoo fur collection. Handmade in England. Universal ..
Camel Luxury faux fur pram bumper bar cover. The perfect way to dress your pram or stroller to stand out from the crowd. Made to match our pram trims, Pom Pom hats and BellaRoo fur collection. Handmade in England. Universal 'one size f..
Grey Luxury faux fur pram bumper bar cover. The perfect way to dress your pram or stroller to stand out from the crowd. Made to match our pram trims, Pom Pom hats and BellaRoo fur collection. Handmade in England. Universal 'one size fi..
luxury faux fur headband in black. Part of the fabulous faux fur collection available at Roo's. Stunning black fur headband, very full and luscious. Elasticated panel to allow for the perfect fit. Made to match our classic ca..
luxury faux fur headband in red. Part of the fabulous faux fur collection available at Roo's. Stunning camel fur headband, very full and luscious. Elasticated panel to allow for the perfect fit. Made to match our classi..
luxury faux fur headband in red. DPart of the fabulous faux fur collection available at Roo's. Stunning grey fur headband, very full and luscious. Elasticated panel to allow for the perfect fit. Made to match our classi..
luxury faux fur headband in red. Part of the fabulous faux fur collection available at Roo's. Stunning pink fur headband, very full and luscious. Elasticated panel to allow for the perfect fit. Made to match our classic..
luxury faux fur headband in red. Part of the fabulous faux fur collection available at Roo's. Stunning red fur headband, very full and luscious. Elasticated panel to allow for the perfect fit. Made to match our classic cape ..
luxury faux fur headband in red. DPart of the fabulous faux fur collection available at Roo's. Stunning white fur headband, very full and luscious. Elasticated panel to allow for the perfect fit. Made to match our class.. 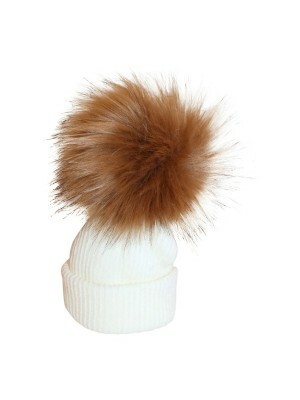 Beige luxury faux fur Pom Pom hat. Chunky knit, ribbed hat with a large, faux fur Pom Pom and turn up. These are beautiful item, truly luxurious without the need to wear real fur. 0-3, 3-6 and 6-18 months available. 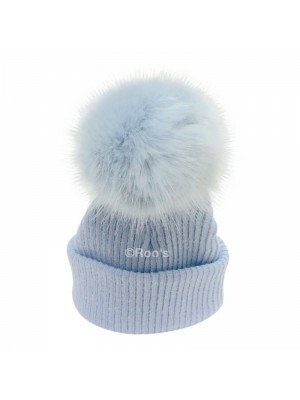 Produced in ..
Baby blue luxury faux fur Pom Pom hat. Chunky knit, ribbed hat with a large, faux fur Pom Pom and turn up. These are beautiful item, truly luxurious without the need to wear real fur. 0-3, 3-6 and 6-18 months available. Produced.. 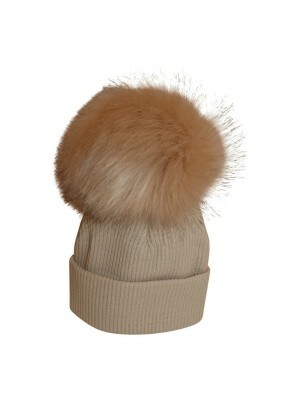 Cream and camel luxury faux fur Pom Pom hat. Chunky knit, ribbed hat with a large, faux fur Pom Pom and turn up. These are beautiful item, truly luxurious without the need to wear real fur. 0-3, 3-6 and 6-18 months available. Produce..
Baby grey luxury faux fur Pom Pom hat. Chunky knit, ribbed hat with a large, faux fur Pom Pom and turn up. These are beautiful item, truly luxurious without the need to wear real fur. 0-3, 3-6 and 6-18 months available. Produced..
Baby navy luxury faux fur Pom Pom hat. Chunky knit, ribbed hat with a large, faux fur Pom Pom and turn up. These are beautiful item, truly luxurious without the need to wear real fur. 0-3, 3-6 and 6-18 months available. 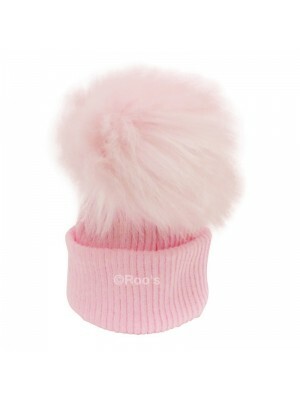 Pr..
Baby pink luxury faux fur Pom Pom hat. Chunky knit, ribbed hat with a large, faux fur Pom Pom and turn up. These are beautiful item, truly luxurious without the need to wear real fur. 0-3, 3-6 and 6-18 months available. Produced in E..